Goga Bitadze played a nearly perfect game as he led Buducnost to a home win over Cibona in ABA League. 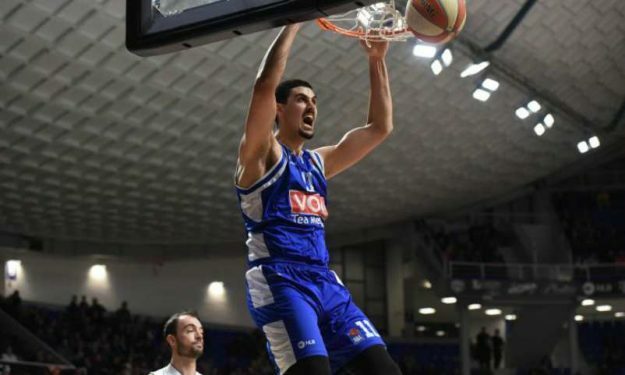 Goga Bitadze nailed 24 points as he led Buducnost Voli to a 91-82 home win over Cibona in their last ABA League regular season game. Bitadze shot 8-10 from the field while also nailing one three-pointer. He also added four rebounds and an assist for total PIR of 28. Earl Clark followed with 15 in addition to Norris Cole’s 11 points. For Cibona, Marko Ljubicic scored 17 points while Josip Bilinovac helped with 11. The semifinals are played in a best-of-three format (1-1-1) and will kick off on March 23 and March 25. The winners will clash in the Finals which are played in a best-of-five format (2-2-1).